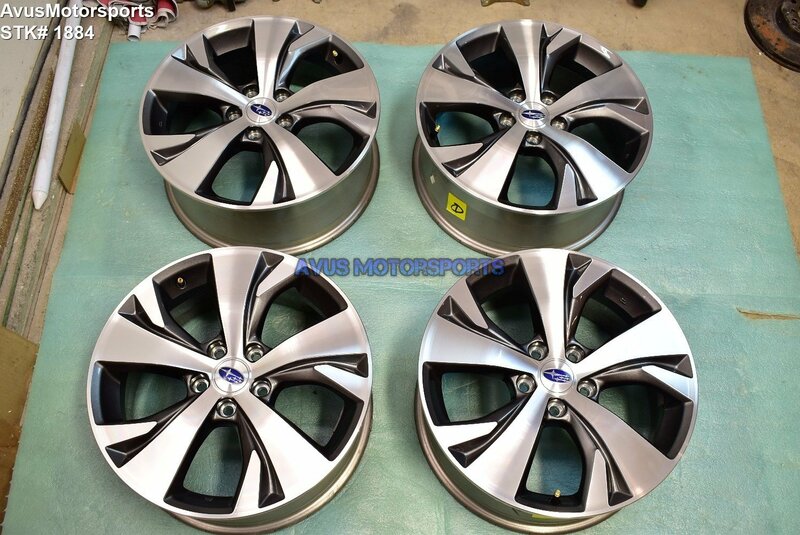 This item is for a set of (4) 2019 Subaru Ascent premium OEM 18" genuine factory wheels. These wheels were removed from a brand new 2019 Subaru Ascent with around 100 miles, so they're in excellent like new condition, but there might be minor blemishes (please view all pics). They were NOT off a wrecked vehicles.